The Flint Water Crisis impacted more than 100,000 people and threatened the health of residents, especially children and pregnant women. 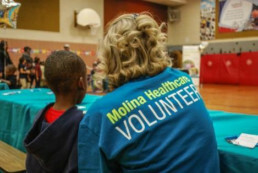 As the national media focused on the crisis and alarm grew, Molina Healthcare strategized to not only help its members, but the entire community. 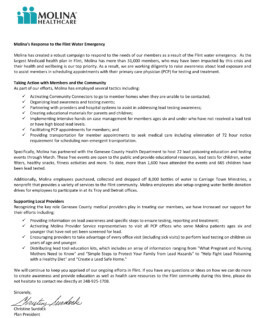 Molina partnered with the county health department to hold public seminars, test people’s waters, and hand-out free water filters. Molina became a credible voice in a frightening time. The efforts helped calm and reassure the community while attracting positive coverage from local and national media.